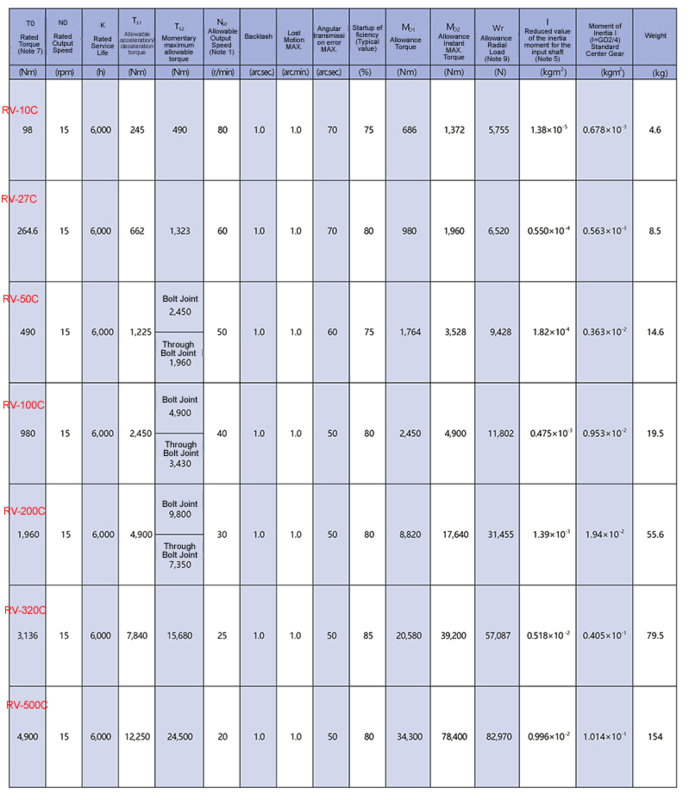 ● Integrated angular bearings to bear high instant radial force and axial force. ● High ratio up to 400 is available without enlarge the gearbox size. ● Good option to save the space due to the design of hollow shaft through hole ( up to 12.7cm diameter). 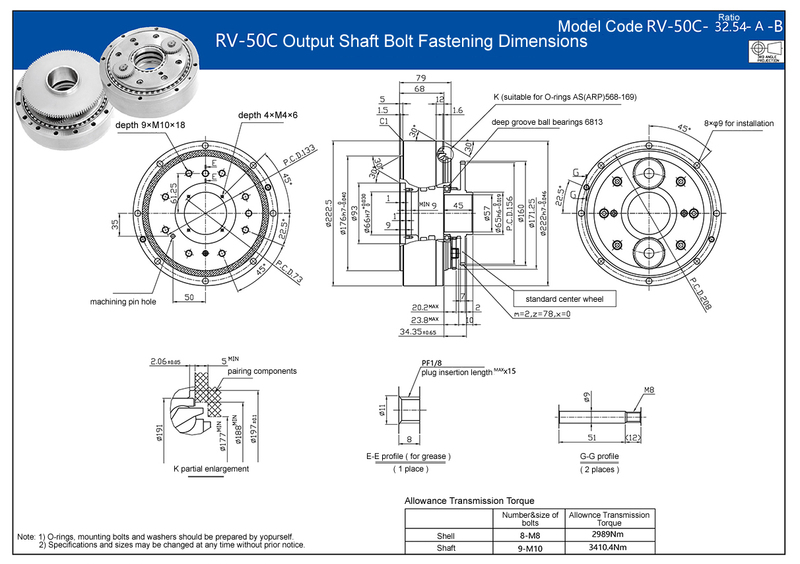 The TQG RV-C hollow shaft robot gearbox features of a center through hole for the sake of space-saving and with a configuration of component set for the more design flexibility. 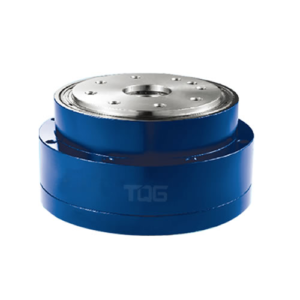 The TQG RV-C reducer is featured of low backlash, high efficiency and long service life that thanks to the rolling contact components. Besides, the off-center 2st stage reduction design to increase the ratio and meantime to reduce the vibration and inertia. Further more, the the TQG RV-C gearbox also includes a set of big inner angular support bearings that offer large moment capacities and without the need for external support devices which can reduce the design time and mounting costs. 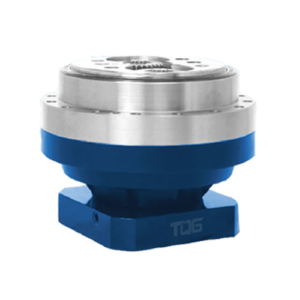 The TQG RV-C high quality precision hollow shaft gearbox incorporates a 2-stage cycloidal design contributes to high ratio, high torque and strong shock-load capabilities. 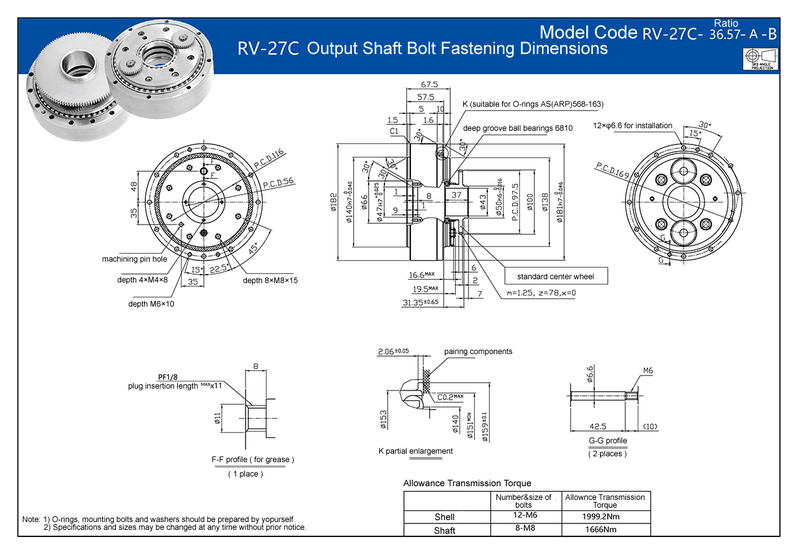 The application of rolling contact components reduces the wear and extend the service life. 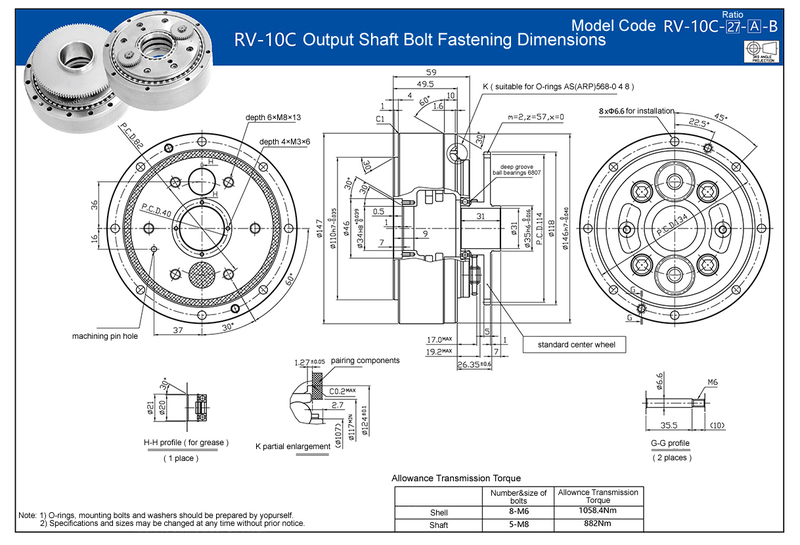 At the same time, RV-C reducer features of lower backlash due to the unique pin and gear construction of the cycloidal design which provides higher precision and shock resistance than the traditional speed reducers. 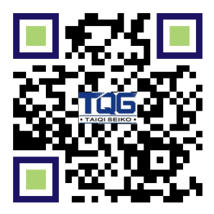 The TQG RV-C reducer also consist of big internal angular support bearings that offer large moment capacities and without the need for external support devices. 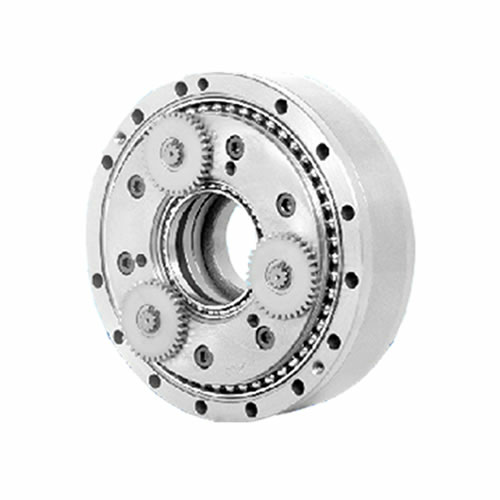 The almost symmetrical gear design and all shafts are supported by roller bearings, which guarantees the constant performance during the service lifetime and allows the torque up to 5 times of the given nominated torque to meet short-term peak loads. (such as emergency stop). 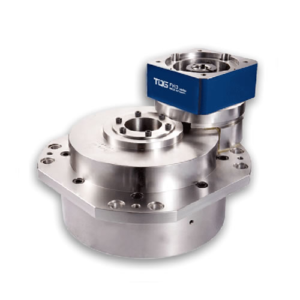 The TQG RV-C robot speed reducer features of high stiffness and the strong ability to support the high external moment capacity due to the integrated angular support bearings and therefore without any needs of external support equipment, which not only reduces the quantity of components and saves total cost, but also increases the operating reliability. The cycloidal pin and gear teeth of TQG RV-C reducer are 100% continuous contact that guarantees extremely low backlash and high shock load capacity. The two-stage reduction mechanism can reduce the vibration thanks to the lower speed rotation of two cycloidal gears and meantime reduce the inertia due to the reduced input coupling size. 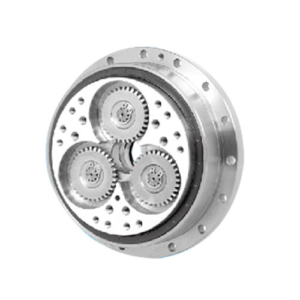 RV-C robot gearbox is also available with a broad variety of ratios that can be gotton through the combinations of the spur gears in the first stage. The use of rolling contact component throughout the TQG RV-C reducer contributes to an outstanding starting efficiency, low backlash, low abrasion and long service life. The transmission error reflects the angular transmission accuracy between the input shaft and the output shaft. 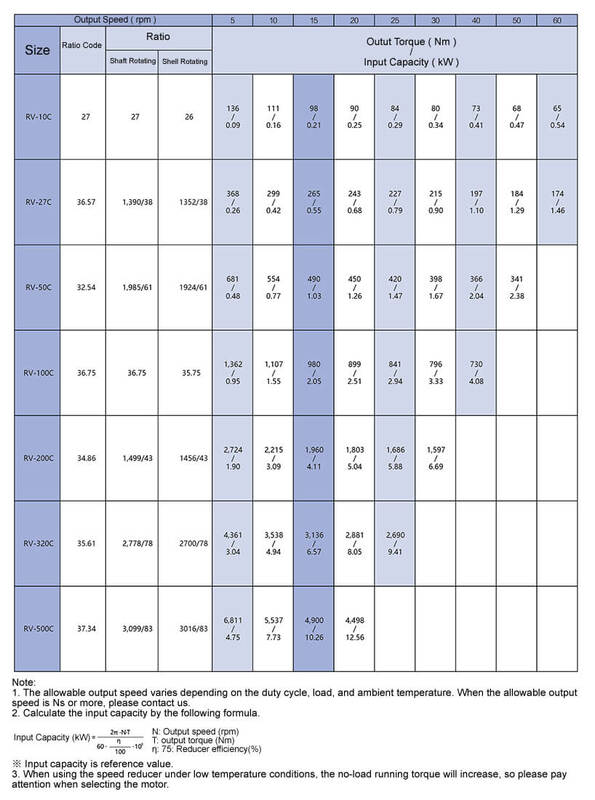 Test results show that the accuracy of these gears is very high. When the input gear is fixed, the nominated torque is imposed to the output shaft in two directions and the elasticity is measured. At zero load (dead point), the distanceΔ-φbetween the upper and lower boundary maps of the hysteresis region is a maximum of 1 arc-min.